I remember reading my first Koti ja Keittiö and seeing a Kannustalo ad. 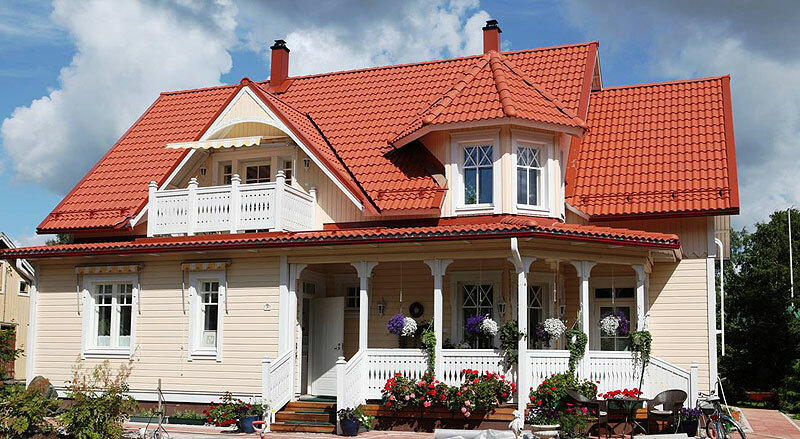 I had just come from Holland and in Holland we have certain types of houses. 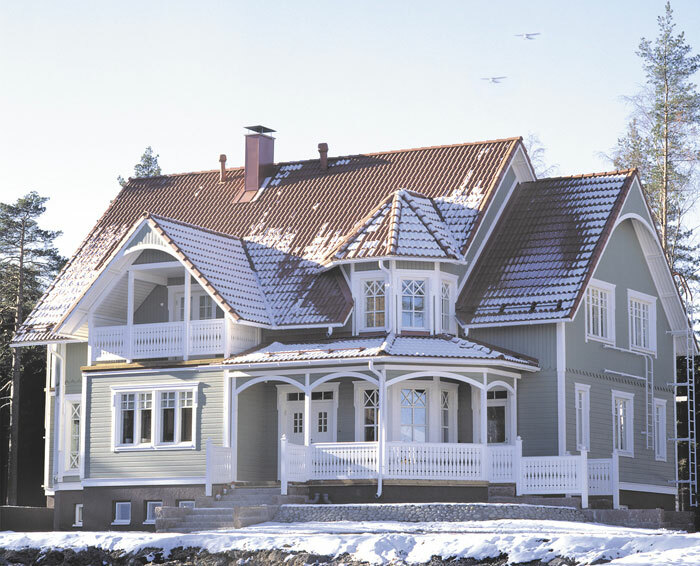 Usually brick houses and there are many nice ones but when I saw the Kannustalo ad I was, well, in love. 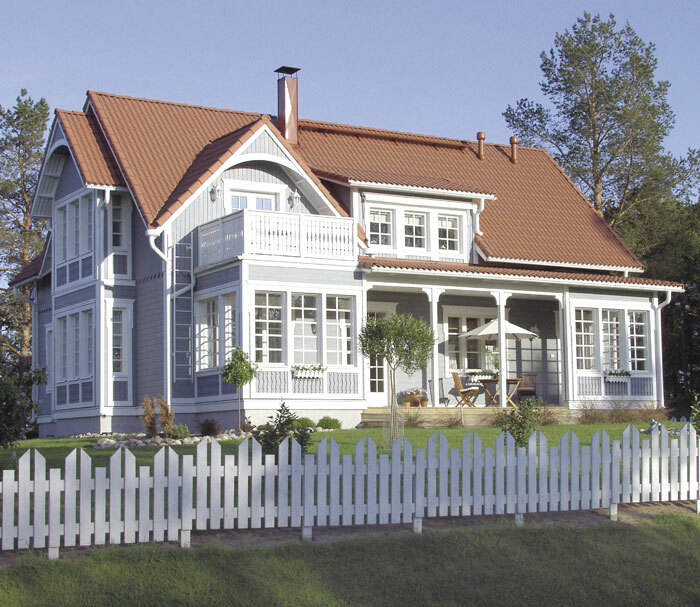 It was love at first sight and I have been dreaming about my own Kannustalo ever since. 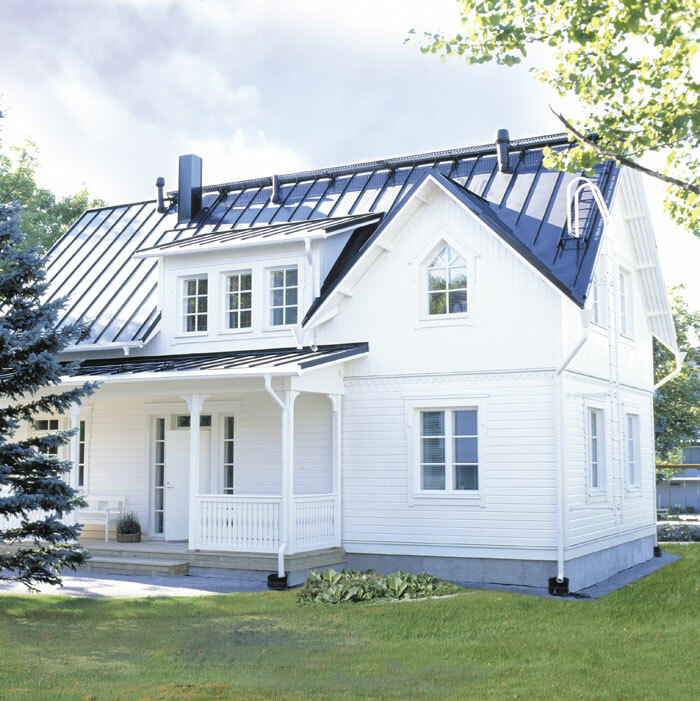 Kannustalo offers so-called prefab houses which are manufactured off-site in advance, usually in standard sections that can be easily shipped and assembled. There are several models to choose from namely Aurora, Rauhala, Vihervaara, Harmaja, Ainola (one of my favourite models), Onnela and Miscellaneous. I'm not at all sure which of the models is my favourite. I'm torn between Ainola and Onnela. Both models are gorgeous and I'm sure I would live very happily in either one of them. 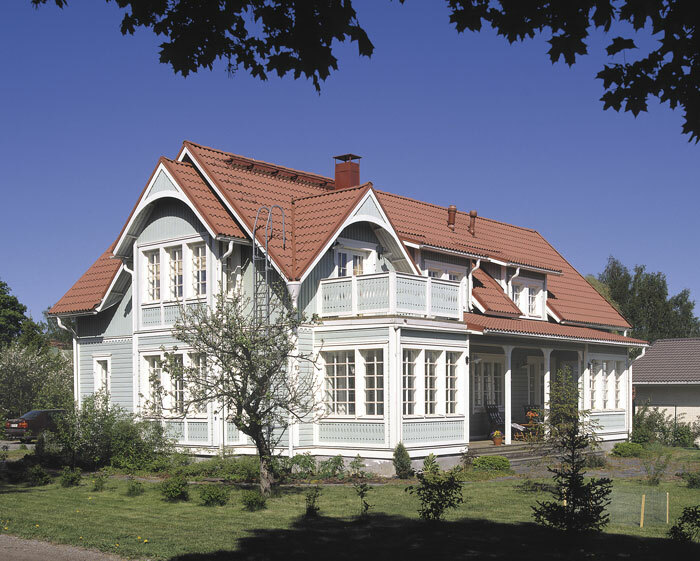 Here are some pictures of Kannustalo houses. Watch them and dream away like I always do.